The child’s room is special space in a house or apartment that needs to be designed with for young inhabitants. In this room, the kid sleeps, plays, hangs out with friends, and does homework. For this reason you should try to make this room comfortable for your kid. It is very important to think over the detailed features of a child’s room, and also to develop a unique design of personal space for the kid. So here is few ideas which will help you to create a unique space for your lovly kids. All children like to build lodges where will be their secret corner. Help them and construct together an original tent of bars and fabric. Such idea of design of child’s room became very popular recently and bears a small element of exotic in the modern apartment. The real lodge from boards can become a bed for the child or a game element in a child’s room. Ideas of design of an original lodge in a nursery can be the most different, depending on the chosen subject: the modest dwelling of Robinzon or a glamourous boudoir for the princess. Also one of the weirdest and wonderful ideas for child’s room is the suspended bed – not all to be solved on such experiment! But here a swing or a suspended chair – excellent idea for design of a child’s room. Because kids likes to drive on a swing, and older children likes simply to rock in a chair and to read. Also u can choose a special topic for decoration of child’s room. The sea topics is probably close to all boys. And that’s why ideas of design of a child’s room in sea style are always very popular. All colors of the sea, a ship steering wheel, the world map or the globe, the real chest and original a natural tree furniture – all this will help you to give to an interior original spirit of sea wanderings. 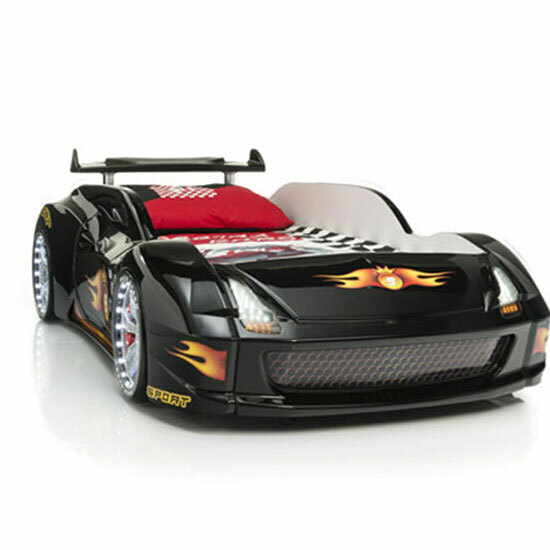 And for young motorists there is a set of options of beds cars. Such unique furniture will make a child’s room interior absolutely weird but wonderful at same time .For a little princess u can choose charming carriage bed in which she will fill as in the fairy tale. Original racks and shelves for a child’s can create special surroundings in an interior, bearing in themselves unique ideas of design. The blackboard in an interior of a child’s room is one of the more popular ideas of design. But not just little small board. The wall covered with a blackboard, sites of a floor and even a door of a case looks unique and amazing in child’s room. Such idea allow creativity and freedom everywhere ! Also u can simply turn a children’s bed into a game attraction , there would be your desire and the imagination of the designer! Labyrinths, hills and short flights of stairs will be interesting to boys and girls. But at the first place always for a safety of the child and that’s why durability of a design should be paid always special attention. The fine moments of the childhood are kept in mind. And if the child had such fascinating child’s room , it will become one of his most cheerful childhood memories.